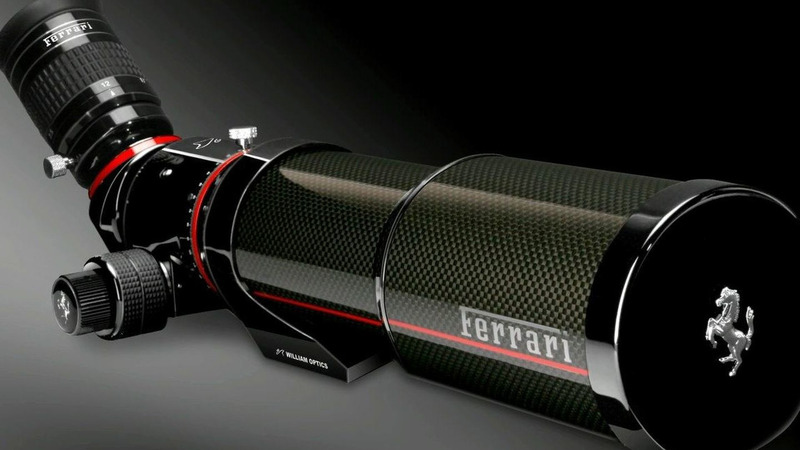 Ferrari has teamed up with William Optics to create an innovative and high performance of binoculars and telescopes. Manufactures have long since realized profits not only come from the cars themselves, but also in the accessories owners are willing to buy. To that end, Ferrari has teamed up with William Optics to create an innovative and high performance range of binoculars and telescopes. The Ferrari Visio binoculars feature ultra lightweight design, carbon fiber, 8x magnification, and are powder-coated in Ferrari Red. Moving up the range is Ferraris ZenithStar telescope which allows for magnification between 25-50x and can also be used as a camera zoom lens with the optional adaptor kit. 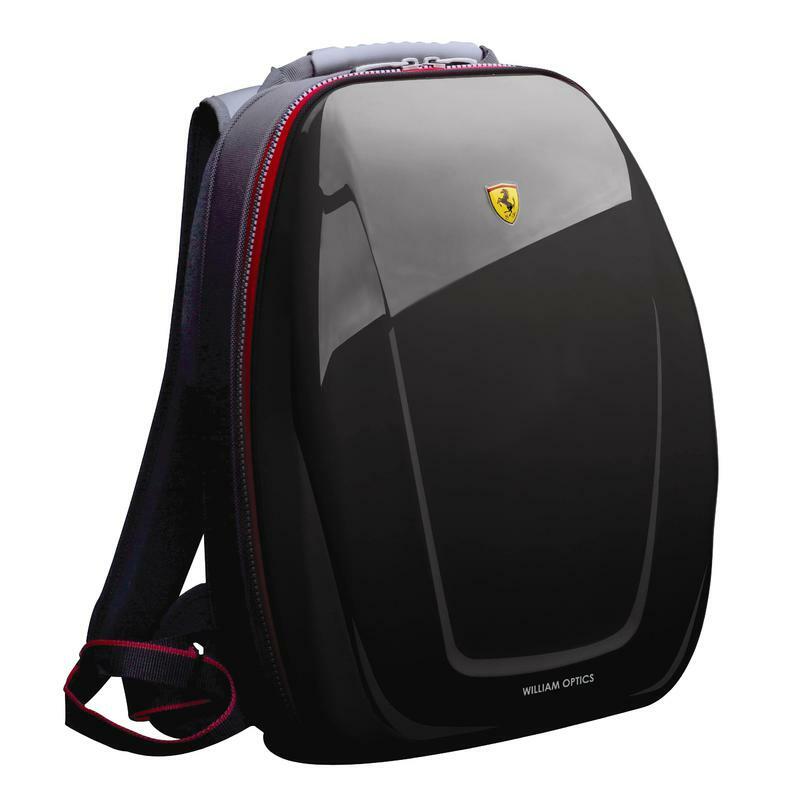 Topping the range is the limited edition ZenithStar Anniversary Edition which pays homage to Ferrari’s 60th anniversary. Offering 20 to 65 times zoom magnification the telescope has a black carbon fiber exterior resulting in a total weight of just two kilos. 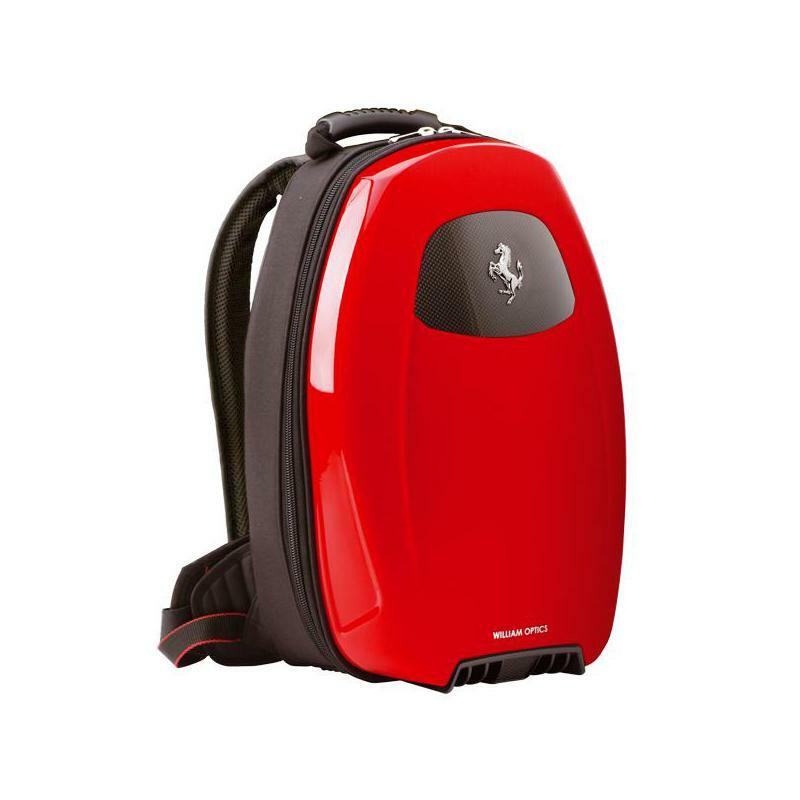 The Ferrari ZenithStar Limited Edition is a exclusive limited edition in 500 units. Book one today to guarantee yourself a part in this legend! The luxurious tube is finished with black carbon fiber and the focuser is entirely anodized for a stunning presentation. Performance is not inferior to looks: its 70mm objective boasts a new type of coatings, almost totally transparent, but which will boost light throughput minimizing stray light. The apochromatic objectiv of this 70mm refractor is although designed to compete with the very best. Extremely sharp and color free, you will enjoy the best views of your life! The special wide-field zoom eyepiece will extend your views from 20x to 65x magnifications, more than enough to see stunning lunar details, birds or wild animals, sea landscapes. Connect the scope with the optional 0.8x reducer/field Flattenener, and transform your telescope into a perfect, trendy, 430mm apochromatic telephoto lens! 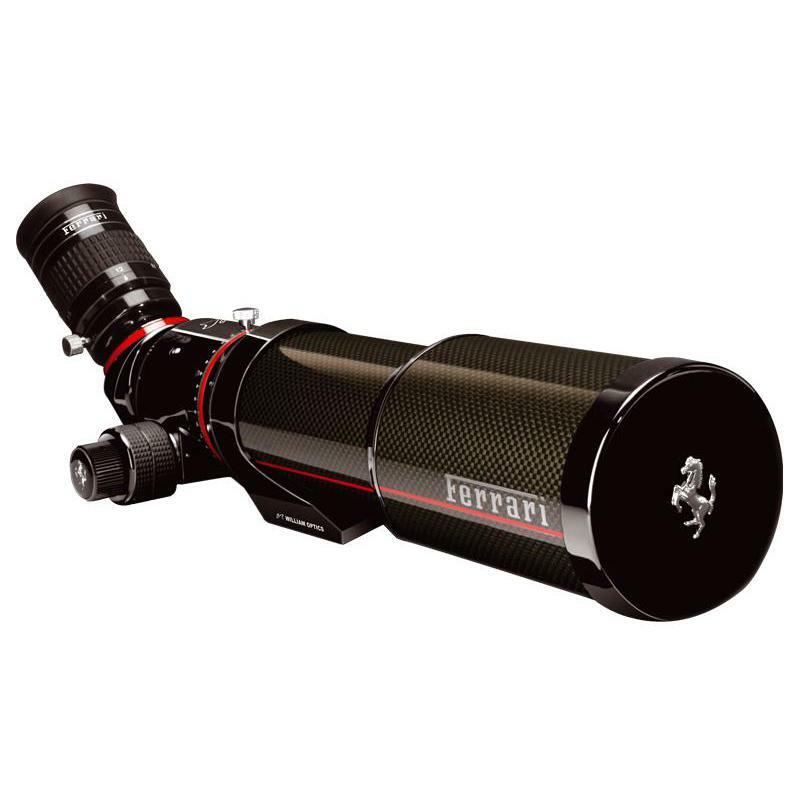 The Ferrari ZenithStar Limited Edition is particularly suited for terrestrial and astronomical views: simply fit the provided premium high-power zoom eyepiece in the erecting prism to see corrected views of planets, galaxies, landscapes, birds and racing cars! Simply rotate the buttery smoth focuser to bring into focus your views or to frame your image precisely for photography.The integrated L-bracket allows you to mount the ZenithStar on any standard camera tripod for photography or observations. The carbon fiber of the tube adds a touch of GT luxury to your outstanding optics.The limited edition is available through selected retail points worldwide.